Umberto Pappalardo, The Splendor of Roman Wall Painting. Los Angeles: J. Paul Getty Museum, 2009. Pp. 240. ISBN 9780892369584. $45.00. Since the discoveries of Pompeii and Herculaneum in the mid-18th century, Roman wall paintings have been the source of fascination among scholars and the general public alike. Ancient Roman frescoes are found in a tremendous variety of settings in nearly every ancient province. In this volume1 Umberto Pappalardo, like so many authors before him, has nevertheless chosen to rule out examples of wall painting from the Greek East, North Africa, or Europe north of the Alps, to focus on familiar territory: Pompeii, Herculaneum, and Rome. With only two exceptions (the Palaestra and Collegium of the Augustales at Herculaneum2), domestic ensembles of wall painting from urban domus and suburban villas comprise the catalogue of this book.3 After a brief introduction to the social history of Roman domestic wall paintings and their content, Pappalardo illustrates 28 of the best-known examples of the genre. The final section of the volume, written by Ludovica Bucci de Santis, addresses spatial reconstructions of (mostly) architectural landscapes in Roman wall painting. Pappalardo's current publication is in fact an abridged and reorganized version of his 2005 volume, written with Donatella Mazzoleni: Domus: Wall Painting in the Roman House, Los Angeles: J. Paul Getty Museum, 2005.4 John Clarke ably reviewed that volume in BMCR 2005.08.32, noting some problematic issues with the two main essays. In the reorganization for this new volume, Mazzoleni's contribution has been scrapped and De Santis' appendix has been expanded. Although Clarke's unease over the cost of the 2005 book has been resolved in the new version, he--and other expert readers--will still find the current work "big on the glitz." I can, however, be more charitable than Clarke as far as the scholarship goes,5 seeing a place for this book in undergraduate classrooms and on the coffee tables of recreational archaeologists. Problems exist in this new volume too, mostly with the apparatus of plans and diagrams and the contribution by De Santis. The intended audience of Pappalardo's revision is also somewhat unclear; there are both specialist and lay aspects to the text. Pappalardo concentrates on suites of wall paintings from relatively intact, archaeologically known buildings.6 In this respect, the book is useful for illustrating one of the main reasons why many are drawn to sites like Pompeii in the first place--one can observe the paintings in their original context, understanding how different aspects of the decor might relate to one another, and how the viewer might have interacted with the suites of frescoes and the architectural framework within which they were situated. Naturally this is something of a fantasy, since other aspects of domestic decor like sculpture and furniture would have partially obscured--but also enhanced--an ancient viewer's interaction with these wall paintings. Pappalardo does not admit to this fantasy, stating that by roaming through the extant remains at places like Pompeii "we can see the entirety of their decorative programs" (p. 7). This general-knowledge point of departure, pervasive throughout the book, suggests the intended audience is the amateur art historian or student. Excellent photographs of the wall paintings in their architectural contexts and a great number of details indeed illustrate the "splendor of Roman wall painting" and will impress many. The text is largely accessible to students, even with a liberal helping of Latin terminology throughout the book, almost all of which is defined for the reader.7 Anecdotes about some of the houses will also engage those who are more familiar with later periods of art history (e.g. the story of Picasso sketching the Minotaur from the eponymous mosaic in the House of the Labyrinth, p. 82). Specialists in Roman art and archaeology, nevertheless, will find an awareness of current thinking about domestic decor and the bibliography--albeit brief--relatively up-to-date with both English and foreign language sources. The catalogue itself is arranged roughly chronologically, telling the conventional story of the Four Styles of Pompeian wall painting. The outlines of Mau's classification are given in the first section of the book (pp. 9-10) and reiterated throughout. Most catalogue entries deal with specific buildings and the collection of wall paintings within them. The author manages to not overload the text with archaeological controversy, while still making the reader aware that interpretation of these paintings and their contexts is an ongoing process.9 By and large the entries address the phases of the buildings and painted decoration, the identity and status of the patron, the mythological narratives of some paintings, the function of specific rooms, and the stylistic relationship of the frescoes to other ones mentioned in the book. Earlier entries in the catalogue provide introductory information regarding Roman houses in general; the section on the House of the Faun explains terms like fauces, impluvium, and tesserae (p. 18). Some catalogue entries permit the author to expand on specific issues related to Roman visual culture at large, like the discussion of Egyptomania in the description of the House of the Orchard (pp. 152-154). In addition to photographs of the wall paintings in their (largely domestc) settings, most catalogue entries are accompanied by a plan of the building from which the paintings come, with significant rooms given a letter designation. Although intended to aid in the reader's reconstructing of paintings within the overall building, the letter designations used in this book in fact create some difficulties. Some plans include a letter system confined to this volume itself, combined with conventional numberings used in other publications. In some cases the two line up (as with the Villa Farnesina, 110-121), but in others it causes confusion (as with the Villa of Publius Fannius Synistor, 32-45 and the Villa of the Mysteries, 46-63) since letters or numbers in the text do not correspond to those on the plan. This proves especially frustrating if the reader does not have handy another plan with all the rooms numbered. Another odd aspect of the catalogue's apparatus is the use of a compass rose accompanying the plans of houses within Pompeii and Herculaneum. With the house in the center of the diagram, lines indicate the cardinal directions as well as the location of Vesuvius and the city's decumanus and cardine [sic].10 Without a single plan of any of the cities noted in this book, the orientation of the houses to a grid typically associated with towns built on a military plan seems somewhat pointless. It is unlikely that the author requested such unusual and ultimately unhelpful diagrams; this reviewer wishes he had insisted instead on city plans and maps of Italy with the houses and villas noted. Since the book seems to be an introduction to this material, such tools are invaluable. The volume concludes with an appendix, "On the Reconstruction of the Spatial Representations in Certain Roman Wall Paintings" (pp. 222-231). This final essay seems rather tacked on to the end of the catalogue of frescoes but nevertheless deserves attention. The section describes the process of reconstructing architectural and landscape spaces depicted in Roman wall painting using elementary photogrammetry. Ludovica Bucci de Santis outlines the methodology for creating such reconstructions from the frescoes in oecus 15 in the so-called Villa of Poppaea at Oplontis, the Corinthian oecus in the House of the Labyrinth, and the viridarium in the House of the Ceii.11 Along with Donatella Mazzoleni and Simonetta Capecchi, de Santis has made images she variously calls "virtual spaces" (p. 225), "perspective reconstruction[s]" (p. 227), and "three-dimensional rendering[s]" (p. 228). De Santis is keenly aware of the interpretative aspects of this kind of work and the assumptions that must be made when studying frescoes that have deteriorated over the centuries (pp. 222-224, 229-230). She does not assert that she and her colleagues have definitively reproduced the painted spaces, but that they have given a "suggestion" of what they might have been; she sees the benefit of this process to be in "explor[ing]...the relationship between the real physical spaces and the real painted spaces" (p. 223). This goal is unfortunately not met in the essay; the conclusion to De Santis' section deals more with the historiography of axonometry than with Roman wall painting. After a brief introduction to the use of linear perspective in Roman wall painting (some of the debate over this issue is summarized in n. 4, p. 230) De Santis summarily outlines the process in creating the reconstructions, using line drawings of the frescoes and unnamed "computer-aided design software" (p. 224). Although her images are fascinating to behold, De Santis does not discuss the practical application of this technology and does not comment on the ways in which these reconstructions might be of real use to archaeologists and architects. The reconstructions invoke questions: Are the painted buildings actually possible in architectural reality? Or are they, like so many other fantastical aspects of contemporary wall painting, examples of an impossibly perfect locus amoenus? De Santis assumes on p. 223 that "the space represented in Roman wall painting is not a physically real space," that most of this type of fresco represents "unbuildable building[s]." Although she alludes to the possibility, she does not, however, actually test this assumption in her essay. Such results might help us answer another question: do the painted architectural spaces match up with extant archaeological remains? Such connections between real and painted buildings could create ever more fruitful avenues for the interpretation of this genre of wall painting and its contexts. At first glance the inclusion of the landscape painting from the House of the Ceii might seem an odd one, given the compelling results promised by analysis of architectural spaces. Reconstructing geography through such three-dimensional renderings, however, could give new insight into Roman cartography and aid in picturing the numerous--but lost--landscape paintings of battles carried in triumphal processions. As it stands in the overall volume, De Santis' contribution is not well integrated into the aim of the book as a whole. It also begs for elaboration; what is offered here is tantalizing in its possibilities. One hopes that further publications on such reconstructions could address some of the archaeological questions above as well as offer more transparency in the methodology. As mentioned above, it is more likely the casual archaeologist or undergraduate who will get the most out of Pappalardo's volume. The text, while well researched and aware of current methodologies, is not overly academic in tone. Nevertheless, the book aims at times for a more specialist audience. It frequently assumes some knowledge of Roman archaeology; it includes many Latin phrases, a good deal of social-historical commentary, some controversial conclusions, bibliographical entries in a variety of languages, and an appendix on a scientific method of documentation. As such, the volume suffers from a bit of an identity crisis. Those readers already familiar with the suites of frescoes presented here--and most scholars of Roman art are abundantly aware of the material at hand--will find little new information. Students in introductory survey courses on this subject might be somewhat baffled by the terminology and the variety of scholarly allusions. Perhaps the most useful aspect of this book--to amateur and scholar alike--will be in its images. As De Santis mentions (p. 230, n. 2), the state of preservation of Pompeii's wall paintings is constantly deteriorating, despite the closures of many sections of the city to the public and a "state of emergency" declared last year at the site.12 As wall paintings from a number of sites are threatened by exposure either to the elements or to looters and vandals, having a catalogue like Pappalardo's, with Luciano Romano's excellent photographs, to beautifully document the state of these frescoes in 2009 will be invaluable. 1. This volume is apparently an English-language version of a book by the same author (Affreschi Romani, Verona: Arsenale-Editrice, 2009). Although I was not able to see the Italian version of the publication, previews on the publisher's website show page layouts and illustrations identical to those in the volume under review here. Affreschi Romani. 2. A third example might be the Murecine building, depending on interpretation of the building. 3. I do not intend to criticize the author himself for choosing to focus on these well-known subjects. For a publication aimed at a wide audience, the wall paintings from Pompeii and Herculaneum are certainly the most visually impressive and best-preserved. My quibble is with the number of publications, including this one, which seem to suggest that Roman wall painting was a phenomenon that only existed in Italy and ended in 79 CE. Save for a reference to second-century frescoes in Ostia (17), Pappalardo does not mention the later history of Roman painting. Perhaps a more specific title for the volume could have lowered this reviewer's expectations: The Splendor of Roman Wall Painting in Italy to 79 CE? 5. In his review, Clarke stated that the 2005 publication was "big on the glitz, slim on the scholarship." 6. Two exceptions to the book's rule of describing frescoes in situ are the series of Odyssey Landscapes from the Esquiline Hill in Rome, pp. 90-99 and a Fourth Style fragment from the Palaestra at Herculaneum, pp. 190-191 (the illustration of this fragment is inconveniently placed on page 204). 7. A glossary, nevertheless, would have seemed sensible for a publication geared towards an amateur audience, especially since some Latin and specialist terminology is never defined in the text. 8. Carol C. Mattusch (ed. 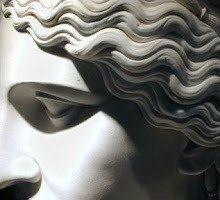 ), Pompeii and the Roman Villa: Art and Culture around the Bay of Naples. National Gallery of Art, October 19, 2008-March 22, 2009; Los Angeles County Museum of Art, May 3-October 4, 2009. Washington: National Gallery of Art, 2008. This volume was reviewed in BMCR 2009.05.18. 9. There are, of course, some necessary assumptions made throughout as not every controversy can be plumbed in a book of this type. Some such assumptions, however, could have been handled in a more nuanced way. For example, alluding to Poppaea as the owner of the villa at Oplontis (pp. 64-81) or suggesting the owners of the Villa of the Mysteries commissioned the eponymous frescoes "because of the great fortune they amassed in the wine business" (p. 50). Other assertions are on the whole puzzling, like referring to the bronze satyr from the House of the Faun as "one of the very few original works of Greek art" from Pompeii (p. 18). 10. This seems to be one of the few errors in translation from the original Italian text, carried out by A. Lawrence Jenkens. There are only a few other infelicities of translation like "waxed tablets" on p. 167, although the conventional "wax tablets" is used on the previous page. Typographical errors are rare; "capital" instead of "capitol" on p. 7, for example. 11. The appendix includes the reconstruction drawings themselves. Enlargements of the images also appear elsewhere in the volume in their respective sections of the catalogue: The Villa at Oplontis: p. 74; the House of the Labyrinth, pp. 86-87; the House of the Ceii and its viridarium landscape: pp. 208, 212. 12. "Italy Declares Pompeii Emergency" News.bbc.co.uk. 4 July 2008.